Sign up to receive Bitcoin Daily – We find the top 3 crypto stories and deliver them to your inbox each morning. Bitcoin was created in early 2009. Since then, we’ve seen its price increase from Bitcoins to the cent (circa March 2010), all the way up to $19,000+ per Bitcoin. One of the stories that illustrate this growth best is that of two pizzas, which were bought for 10,000 Bitcoins, on May 22, 2010, by a Florida developer by the name of Laszlo Hanyecz. Those 10,000 Bitcoins (at $4,000 per bitcoin) would be worth over $40 million today, pitted against the $40 or so they were worth then. Is there any limit to this growth, and if so, where is it? While nobody knows for sure, there are plenty of anti-Bitcoiners who see the market as a bubble, ready to pop and have Bitcoin’s price fizzle back to mere cents, and plenty of pro-Bitcoiners, or Bitcoin evangelists, who see little hinderance in Bitcoin growing up to 200 times its current price. Here what those evangelists think Bitcoin will go on to be worth. There are a handful of Bitcoin price predictions made for the mid to long term, or with no time scale at all, that are still standing today. Here are some of the most exciting predictions from Bitcoin’s most legendary evangelists. 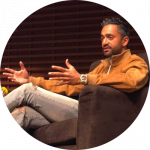 Chamath Palihapitiya is the Founder of Social Capital and Co-Owner of the Golden State Warriors. His Bitcoin journey started with an investment back in 2012, and by 2013 he had included Bitcoin in his hedge fund, general fund, private account. At one point, he owned 5% of all Bitcoin in circulation. 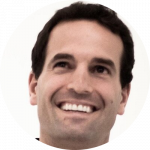 Wences Casares is the Founder and CEO of Xapo, a Bitcoin wallet startup, and a board member at PayPal, among various other roles. 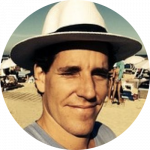 Casares first found interest in Bitcoin due to high financial volatility in his home country Argentina’s native currency, the Peso. The tech giant bought his first Bitcoins in 2011. Casares believes that Bitcoin will hit $1 million sometime before 2027, he said at the Consensus 2017 conference in New York. Even better, he believes that Bitcoin could hit one million dollars in as few as 5 years, saying on May 23, 2017, that the milestone will be reached “in 5-10 years”. John Pfeffer is a partner at London-based family office Pfeffer Capital. He’s set a bold price target for Bitcoin of $700,000—about 175 times the current Bitcoin price of nearly $4,000. Pfeffer said that Bitcoin is the world’s first viable replacement for gold. Next up, the current value of all privately held gold bullion is about $1.6 trillion. Assuming there will be 18 million Bitcoins in circulation by the time the cryptocurrency fully replaces gold bullion, the implied value of a Bitcoin would then be $90,000. This is Pfeffer’s most conservative scenario, which he gives 8% odds of coming to fruition. 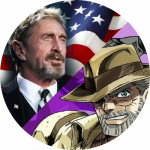 McAfee recently made waves in the cryptocurrency world after claiming that each unit of Bitcoin would be worth half a million dollars by 2020. He did not stop there. He went on to predict that Bitcoin could even reach as much as $2.6 million in the same time frame. Jeremy Liew is a partner at Lightspeed Venture Partners, famed as the first investor in the social media app Snapchat. 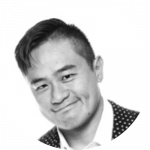 Liew’s other investments include the multimedia company Beme, the listing service VarageSale, and the hardware wallet LedgerX. His net worth is estimated at north of $2 billion. In an exchange with Business Insider in May 2017, Liew said that the Bitcoin price can “realistically” reach $500,000 by 2030. Liew’s prediction was backed by Peter Smith, the CEO, and co-founder of Blockchain — the world’s most popular Bitcoin wallet. 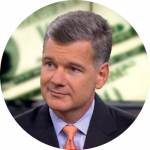 Mark Yusko is the billionaire investor and Founder of Morgan Creek Capital. His prediction for Bitcoin is that it’ll be worth over $400,000 in the long term, a statement that made headlines because for its grandiose scale. “It’s just math. It is gold equivalent…there are about 20 million Bitcoin available today. Gold today is about $8 trillion. That gives you $400,000. And that doesn’t include use cases that relate to currency,” Yusko said. He also pointed out that the asset is striking fear into the hearts of bankers, precisely because Bitcoin eliminates the need for banks. When transactions are verified on a Blockchain, banks become obsolete. 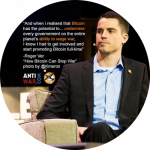 Roger Ver is an early investor in Bitcoin and related blockchain startups. Born in the US and now with citizenship in Saint Kitts and Nevis, Ver started his business career with a computer parts business, MemoryDealers.com. By early 2011, Ver had begun investing in Bitcoin, now with a portfolio including startups like Bitinstant, Ripple, Blockchain, Bitpay, and Kraken. In an interview with Jeff Berwick, for The Dollar Vigilante blog, Roger Ver said in October 2015 that Bitcoin “could very easily be worth $2,500, or $25,000 per Bitcoin, or even $250,000 per Bitcoin”. Ver’s estimate is based on the principles of supply and demand, which he believes creates great potential for Bitcoin as a store of value. 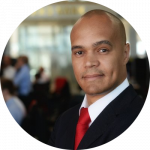 Kay Van-Petersen is an analyst at Saxo Bank, a Danish investment bank which specializes in online trading and investment. Based out of Singapore with an MSc in Applied Economics & Finance from Copenhagen Business School, Van-Petersen is an active Twitter user with no fear of speculating on tough topics like the prices of cryptocurrencies. Van-Petersen believes that Bitcoin will rise to $100,000 per unit by 2027, according to a feature by CNBC news published in May 2017. As the man who successfully predicted Bitcoin’s flow up to $2,000 by 2017, Kay Van-Petersen’s most recent estimate, perhaps a little optimistic, suggests that Bitcoin would then account for 10% of the volume in the foreign exchange market. 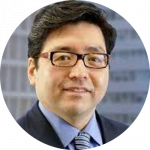 Tom Lee is Co-Founder of the market strategy firm Fundstrat Global Advisors, and a well-known bitcoin bull. Lee initially set a Bitcoin price target for $11,500 for mid-2018, and then increased it to $20,000 as the cryptocurrency’s intrinsic value increased. These targets were instead achieved by the end of 2017. He recently upped his prediction again, stating that Bitcoin’s price will reach $91,000 by March 2020, on the basis of a chart that shows Bitcoin’s (BTC) performances after past market dips. Lee and Fundstrat used an average of the percentage gained in price after each dip to arrive at the 2020 figure. 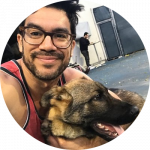 Tai Lopez is a renowned investor and internet marketing expert, famed for a viral video he had filmed in his garage. He believes that if a small portion (1%) of the assets of millionaires globally is invested into Bitcoin in the upcoming months, the price of Bitcoin could justifiably grow to around $60,000. Given that the adoption of Bitcoin as a store of value and a medium of exchange within the global finance market is increasing exponentially, $60,000 remains a viable mid-term price target even for conservative investors. Only time will tell when/if this prediction is reached, though. 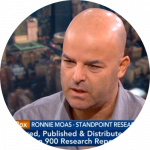 Ronnie Moas is the founder and director of research at Standpoint Research, an equity research firm accounting for both traditional investments and new-time ones. 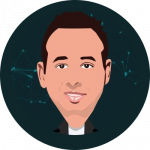 Moas is an avid Twitter user and Wall Street analyst who has been featured on dozens of TV and radio interviews and holds an MBA in finance. Moas projects that Bitcoin will reach a price of $50,000 by late 2020. He also believes that the market cap of all cryptocurrencies will burst up to a whopping $2 trillion (from the current $150 billion) within the next 10 years. Moas has also compared the wealth proposition of cryptocurrencies to that of the dot-com boom. Winklevoss twins – the famous Bitcoin billionaires has said Bitcoin has the potential to of thirty to forty times its current value. That would put the Winklevoss’ estimation of Bitcoin’s future market cap at over $5 trillion. This number comes from a comparison to the $7 trillion global gold market. We’ve just come to the end of 2018, so a number of Bitcoin price predictions have already seen their completion dates, but just how accurate were these evangelists? Here are past price predictions for Bitcoin. 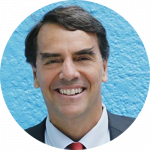 Tim Draper, a billionaire venture capitalist, had envisioned Bitcoin to hit $10,000 USD by 2018. Draper scored big as an early backer of Skype and Baidu. He is also an early supporter of Bitcoin and its underlying technology blockchain. In July 2014, Draper purchased nearly 30,000 bitcoins (worth around $19 million at the time) which had been seized by the US Marshals service from the Silk Road (a marketplace website). 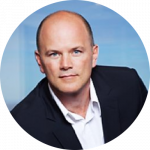 Mike Novogratz is a former hedge fund manager who has been investing in Bitcoin and Blockchain technology for a long time. Due to heavy investor interest in the cryptocurrency, Mike had believed Bitcoin’s price could rise up to $10,000 by April 2018. 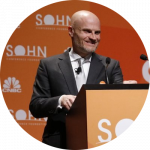 Novogratz had already invested $150 million in the cryptocurrency space, having collected more funds from outside sources, mainly wealthy individuals/families and fellow hedge fund managers. Ran Neuner, the host of CNBC’s show Cryptotrader and the 28th most influential Blockchain insider according to Richtopia, had claimed that Bitcoin will end 2018 at the price point of $50,000. Interestingly, The CNBC channel had been increasingly involved in cryptocurrency reporting over the past few months. On Jan. 8, the cable network aired a step-by-step tutorial on how to buy Ripple using the Poloniex exchange as a platform for the purchase. 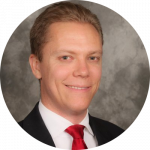 Trace Mayer, who according to his website, is an entrepreneur, investor, journalist, monetary scientist and ardent defender, had predicted the Bitcoin price to hit $27,000 by February 2018. Mayer has been involved with Bitcoin since its early days, initially investing in the cryptocurrency when it was worth $0.25. The host of The Bitcoin Knowledge Podcast had based his prediction on a 200-day moving average. He expected the 200-day moving average to grow rapidly up until $5,767. At which point, he believed that each Bitcoin would be worth over $27,000, increasing its relative price by 4.75 times. Masterluc is an anonymous Bitcoin trader, known for his impressive predictions in the price of Bitcoin. Most notable was his prediction of the end of the 2013 Bitcoin bubble, which was then followed by a bearish market for multiple years. Masterluc had expected Bitcoin to reach a price of between 40,000 and 110,000 US dollars by the end of the 2017 bull run, sharing his thoughts publicly on the TradingView platform. In his May 26th, 2017 post, the legendary trader said he expects the price to be reached sometime before 2019. After correctly predicting the $10,000 milestone, hedge fund manager Michael Novogratz threw out another prediction: that Bitcoin price could go four times by the end of 2018 and cross $40,000. According to him, high demand from Asia and a limited supply of the cryptocurrency had lead to cryptocurrency’s exuberant growth. Thomas Glucksmann, head of APAC business at Gatecoin, had seen regulation, the introduction of institutional capital, and technological advances like the Lightning Network as the main factors in rising cryptocurrency prices. “There is no reason why we couldn’t see Bitcoin pushing $50,000 by December” he said. Glucksmann also wrote that a possible element in market growth going forward could be the release of a cryptocurrency-based ETF, similar to when BTC’s price shot up to $16,800 in Dec. 2017 after the CBOE’s futures launch. Are we missing any important bitcoin predictions? Let us know and we will add them to the page.